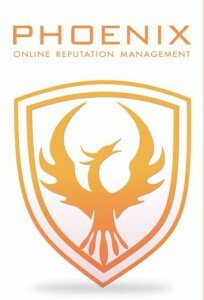 Phoenix Online Reputation Management is the latest service offered by Alliance Sales and Marketing Solutions. The newest addition to the steadily growing arsenal of industry specific products from the Alliance group is perhaps the most anticipated yet. Heather Guffin said that, “Phoenix, allows businesses that have been severely impacted by complaints, negative SEO, cyber vandalism, and negative reviews to repair their image and improve their online brand management”. How you appear in search engines in terms of reputation, visibility, and client feedback will more than likely be the defining factor in whether or not a person chooses to trust your company and buy your product. The online image of your brand quite literally is the face of your company, therefore online brand management is essential in order to project a face that denotes reliability and trust. The evolution of the internet has meant that businesses along with their products are more accessible and visible than ever. It also means that your brand image is more susceptible to damage and more fragile than ever. It is a frightening notion to know that practically anyone with enough patience and enthusiasm can quite literally tear a hole in the online reputation of your company if they want to. These days Cyber vandalism can be performed by anyone, from a disgruntled employee, competitor, or a poorly handled customer who is hell bent on destroying your online reputation. Most victim’s don´t even realize that they are being targeted for acts of negative SEO or cyber vandalism. In fact a shockingly large majority of businesses do not even monitor their online reputation. Phoenix Online Reputation Management Service is ideal for new timeshare businesses wishing to create a pre-emptive barrier from negative content and cyber vandalism. Negative SEO and acts of cyber vandalism such as fake complaints and reviews, spamming, or pointing low PR links at a competitors website, are a more common occurrence than most people think. Rather than investing in a costly SEO campaigns that require constant attention, some companies would rather just launch their own negative SEO initiative against their competitors. Negative SEO requires a lot less skill and capital than actually managing a successful SEO campaign; therefore it’s more appealing to competitive businesses looking to get ahead by any means possible. 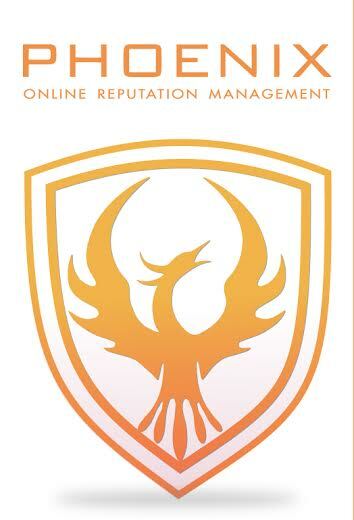 Phoenix Online Reputation Management service enables businesses to protect the face of their company and/or repair their online reputation if needed. An additional feature of the service is tracking the source of negative content, which often leads to uncovering the real identity of anonymous cyber vandals or perpetrators of negative SEO. 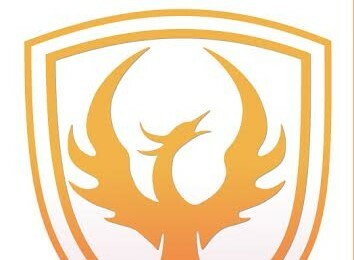 The Phoenix Online Reputation Management service is an indispensable all-in-one tool for timeshare sales and marketing businesses looking to push down negative content, or for new businesses wanting to create a shield. 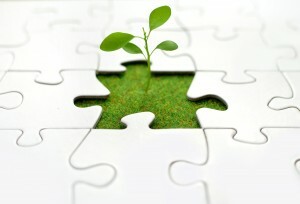 Like Alliance Sales and Marketing Solutions on Facebook. Posted on April 2, 2014 April 2, 2014 by admin	Bookmark the permalink. At ARDA World 2014 Heather Guffin and Alliance Sales and Marketing Solutions team members including Michael Martinez and Vicente Varela will be in attendance. Heather Guffin along with key-members of the Alliance Sales and Marketing Solutions team will be in Las Vegas from the 6th - 10th of April. The annual timeshare gathering and expo attracts almost 3,000 vacation industry professionals from over 30 countries around the globe. Responsive Web Designs – Alliance Sales & Marketing Solutions programmers develop websites that are tablet and mobile device compatible, user-friendly, cost efficient, easy-to-manage, and SEO friendly. Mobile Applications – Marketing apps compatible on mobile devices such as Tablets and Smartphones allow your sales team to project your product in an authentic and interactive presentation. Alliance Sales and Marketing Solutions mobile apps are already making an impact in active sales rooms throughout North America. Graphic Design – The world class team of graphic designers at Alliance Sales & Marketing Solutions establish and convey the brand identity of clients whilst allowing them to visually engage their target audience. Phoenix Reputation Management – Managing your online reputation is one of the most important tasks that you can undertake to protect your brand image. Negative content can be conjured up by anyone these days and acts of cyber vandalism can be combatted using Phoenix reputation management. Association of Timeshare Recyclers – The ATR is a non-profit organization with a primary mission to find, create and promote timeshare exit strategies that work for the timeshare industry as a whole. The ATR aims to support the continued success and growth of the timeshare industry via aiding and protecting the interests of the secondary market. Speak to Michael Martinez (ATR Vice President of Business Development) at booth #824 during ARDA World to learn more about the Association of Timeshare Recyclers. Booth #824 will be a dual-purpose-display exhibiting products and services of both the ATR, and Alliance Sales and Marketing Solutions and extending people the opportunity to gain a better insight into the two companies. Visit booth #824 to speak with Vicente Varela (Alliance Chief Operations Officer) about the latest solutions and initiatives currently being launched by Alliance Sales and Marketing Solutions. Posted on April 1, 2014 by admin	Bookmark the permalink. Cloud systems for timeshare businesses like Alliance iTeam represent the future. The future of the timeshare industry is not just dependent upon increasing the general fluidity of the industry to allow greater flexibility to owners but also the willingness of sales and marketing businesses to break free of the restraints of traditional computer systems. Cloud computing systems have been adopted by hundreds of major sales and marketing businesses, though the industry still seems a hesitant to adopt cloud systems for timeshare businesses as superior alternatives to analogue computing models. Timeshare businesses can benefit greatly from the advantages offered by cloud systems. Greater Economies of Scale – Sales and Marketing businesses of the timeshare industry can increase volume output and productivity with a smaller work-force. Those same companies can also witness drops in project, product and unit cost by switching to the cloud. Streamlining of Daily Operations. Cloud computing provides a level of efficiency that traditional computing systems are simply unable to provide, meaning that timeshare businesses can better access information, execute operations and communicate with using less resources and people. Expenditure Reduction on Infrastructure – Perhaps the most appealing aspect of cloud systems for timeshare businesses is that a third party supplies all the infrastructure that a timeshare business could possibly need. Therefore cloud hosts eliminate perhaps the most costly component of running a business in the digital era. Workforce Mobilization and Interconnection – Timeshare businesses can enjoy the benefits of virtualization of not just their office but also their workforce. Cloud hosts allow authorized access of information via web enabled devices meaning that your sales team can stay connected, up-to-date and available no matter where they are. Maintenance Cost Reduction- As cloud computing platforms automate software maintenance such as updates, upgrades and licensing, timeshare businesses can focus on the business itself rather than allocating personnel and expenses to logistics. Dynamic Training Platforms – Cloud platforms such as Alliance iTeam provide dynamic platforms for in-house training. Due to task automation the learning curve is reduced and there is less need to allocate training personnel to guide new sales team members through the sales process as the system automates this process for you. Read more articles about cloud systems for timeshare businesses and the future of cloud computing in the Alliances That Work press-release. Posted on January 3, 2014 April 1, 2014 by admin	Bookmark the permalink. Heather Guffin is the founder and present President & CEO of Alliance Sales & Marketing Solutions. Heather achieved a Bachelor of Science in Physics from the University of Washington in 1994. During 2005 Heather Guffin took on the bilingual role of Assistant Sales Director for the highly successful and well established timeshare resort chain. Heather’s vision and sales innovation quickly became apparent and by 2006 the timeshare industry giant had recognized her substantial sales achievements and decided to cultivate Heather’s potential by promoting her to the position of Project Director. During her five year duration as Project Director, Heather Guffin developed and led a high-performance experimental sales team in generating timeshare revenue by targeting prospects that were considered unqualified by industry standards. Heather propelled non-traditional revenue from zero to $8 million annually in the first year and to $28 million annually over a 5-year period by leading all day-to-day sales and marketing operations including human resources, contracts, payroll, marketing and sales budgets, training, and closing sales. The mass customer activation and exponential revenue growth that the company experienced as a result of Heather’s efforts from 2005 onwards set a new bench mark for the company. At the end of this period Heather relinquished her role as Project Director and parted ways with her former employer to pursue new goals and carve out her own niche in the industry. 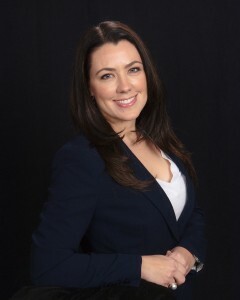 In 2008 Heather Guffin created Alliance Sales & Marketing Solutions to offer timeshare industry specific solutions to sales and marketing businesses. Alliance solutions encompasses an image of an industry where timeshare businesses possess the technological capacity and resources to navigate a fast paced market and meet the needs of an ever more demanding consumer base and a perpetually evolving digital sales floor. The latest Alliance Sales & Marketing Solutions product, Alliance iTeam, represents a multidimensional cloud solution that enhances key areas of timeshare companies by optimizing training, statistics, sales and marketing components of timeshare businesses. Alliance iTeam is the only cloud solution of its kind that has been specifically developed for the industry and not only provides a versatile cloud platform for timeshare businesses to streamline their operations and grow profits from, but represents the future of sales and marketing in the timeshare industry. Considering her considerable experience, accomplishments and vision within the timeshare industry, Heather Guffin often speaks at timeshare events and related expos where her segments are viewed as educational, informative, and as thought provoking insights into the future of timeshare sales systems, techniques and solutions. Heather’s acquired knowledge and insight as a Project Director into the drawbacks of traditional sales strategies and advantages of new age approaches to the sales process makes her a fitting addition to any conversation into the future of sales systems and techniques and their place in the timeshare industry. Visit Alliance Sales & Marketing Solutions to discover more about how Heather Guffin ishelping to change the direction of the timeshare industry’s future, through cloud based solutions. Posted on December 30, 2013 April 1, 2014 by admin	Bookmark the permalink. Posted on December 11, 2013 April 1, 2014 by admin	Bookmark the permalink.